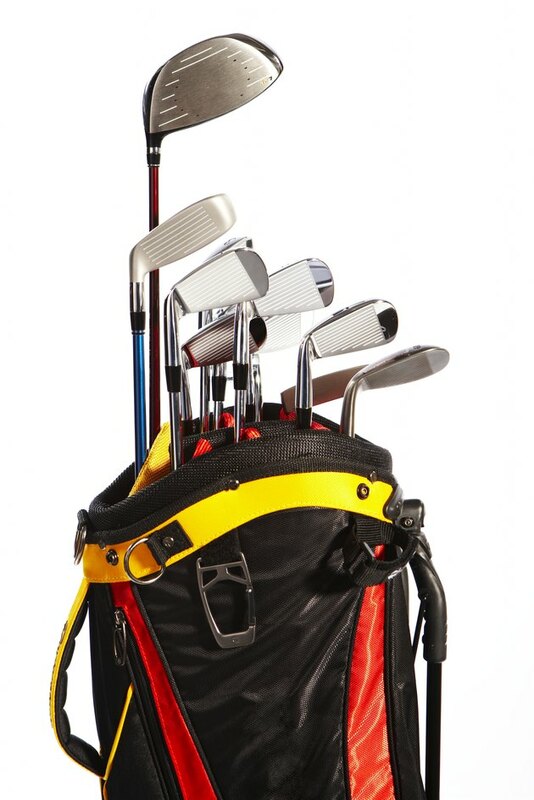 If you are a beginner golfer or are buying clubs for a beginner, you don't need to invest in a set with the maximum of 14 clubs. Beginners don't notice a lot of difference in the distance they hit each club, because they haven't learned to hit them consistently in the center of the club face and with a proper swing. Fairway woods -- clubs with longer shafts -- are harder to swing than the shorter hybrids and irons. Beginners can leave the fairway woods out of the bag and hit with irons and hybrids for most shots, or they can use a fairway wood to replace the driver. It's really a matter of personal preference. Woods are so named because they were once made of persimmon wood. Now made of metal -- steel, titanium or a composite -- they’re sometimes called fairway metals. Despite their name, fairway woods are not limited to shots off the fairway. You can use them on tee shots or even out of the rough -- the longer grass that frames the fairway. Unlike the driver, which is also classified as a wood, fairway woods have more loft. Woods are longer than other golf clubs, though, and it's this length that makes them more difficult to hit and yet rewards you with more distance if you swing it properly. A fairway wood might be a good replacement for the driver in a beginner's bag, but it's not necessarily the best choice for hitting a shot off the ground. As a beginner, if you have a high-lofted driver that you can hit, you don't need fairway woods. A fairway wood has a large, wide head designed for longer shots, while irons have very narrow heads designed for mid- to short-shots and accuracy. Between these two are the hybrid clubs, which have some of the best characteristics of each type of club. Depending on the manufacturer, hybrids tend to have a shorter shafts, making them easier to control, but they have some of the best weighting characteristics of the woods -- specifically, a lower center of gravity that lifts the ball more easily. The 3- or 4-hybrid gives a beginner golfer sufficient distance and more control than a fairway wood. Golfing without fairway woods changes the makeup of your set. How many and which clubs to include is partly personal preference, but your teaching professional can help you. You'll need a distance club for your tee shots. If you tend to be very athletic and have experience in other sports that involve hitting -- such as tennis or baseball -- try a driver with no less than 10 to 12 degrees of loft. If you're not as athletic, consider using a hybrid for your tee shots. When you've mastered that club, put a driver in the bag. For fairways shots, carry at least two hybrid clubs, preferably the 4-hybrid and the 6-hybrid; the odd-numbered irons (7-iron and 9-iron); a sand wedge; and a putter. Once you start hitting the hybrid well and need more distance off the tee, you need to use a wood for your tee shots. Designed for maximum distance on tee shots, the driver is also the longest club and is therefore difficult to control. If you're having trouble hitting the driver straight or getting the ball airborne with the driver, buy a 3- or 5-wood to tee off. When you start hitting your hybrids consistently off the fairway, add a 5-wood or 7-wood to your arsenal. Golf is a mental game, too, so you'll have better results if you swing a club that gives your confidence, regardless of what the experts say. Some beginners are more comfortable with the look and feel of a fairway wood. If you are really struggling to hit hybrids or irons off the ground, try a fairway wood. It might work better for you. Golf Magazine's Encyclopedia of Golf; John M. Ross, et. al.